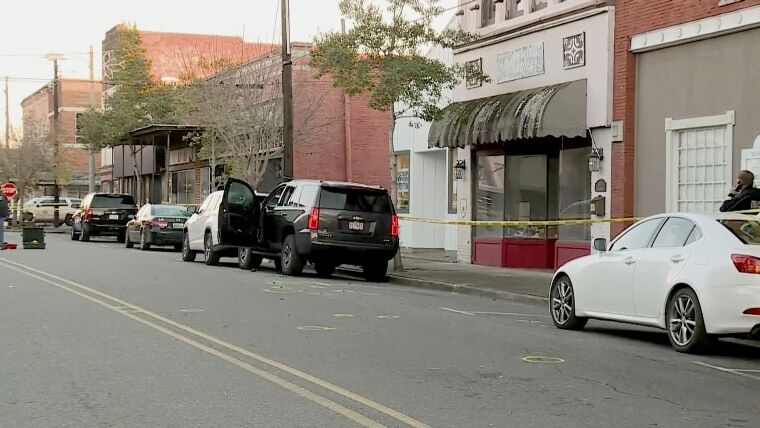 A former Alabama state trooper was shot dead by police after allegedly shooting a district attorney in the face outside his office. Marengo County District Attorney Greg Griggers was shot in face outside his office, Alabama Attorney General Steve Marshall confirmed Thursday afternoon. The suspect, Steve Smith, was a drug task force investigator and former Alabama State Trooper according to NBC affiliate WVTM in Birmingham, Alabama. Michael Jackson, the district attorney for the 4th Judicial Circuit, told WVTM that Smith was killed by police officers. Griggers has been hospitalized and authorities have not released a motive in the attack. U.S District Attorney for the Northern District of Alabama Jay E. Town released a statement Thursday offering thoughts and prayers for Griggers and his family.